Aligning assessment with intended course learning outcomes is crucial to assessment-as-learning. Learning outcomes prescribe what students are expected to demonstrate they have learned. The assessment plan shows how they will demonstrate their learning. These two elements must operate in parallel if the assessment is to be valid. For example, for a learning outcome stating that students will develop professional communication skills, assessment tasks that focus only on academic communication skills cannot be regarded as valid. Wherever possible, plan the assessment, including full details of each assessment task, at the time the course outline is initially developed, so that learning outcomes can be seen to be assessable and achievable within the timeframe of the course. Often, learning outcomes are framed well in advance of detailed assessment plans—for example, to accord with professional accreditation requirements. Then, when the assessment plan is being developed, and it becomes clear that the approved learning outcomes were framed poorly, it is too late to change the outcomes, and uncomfortable compromises have to be made. Students can see clearly what to focus on, and how to demonstrate their learning during assessment. Assessment feedback framed around criteria that have been derived from the learning outcomes helps guide students towards what really counts in the course. Staff can use learning outcomes when planning learning and assessment activities and tasks. For example, they can map particular task types to the relevant learning outcomes, and assign grade weightings appropriate to the relative importance of those outcomes. Staff can also use the alignment framework when (a) developing assessment criteria and strategies for engaging students in a dialogue about assessment, and when (b) reflecting on the overall effectiveness of the curriculum and their teaching. Learning outcomes that are systematically assessed at course level can be shown to contribute to program-level outcomes, and thus to information provided to students, employer groups, professional bodies and so on about graduation standards. Planning for assessment alignment can be difficult, especially when no neat and mutually exclusive relationship exists between individual learning outcomes and particular assessment tasks. All learning outcomes need to be assessable, but sometimes it might be appropriate to base assessment on a sample of actions or assessment tasks. For example, in some exams and quizzes students are allowed to select particular questions to answer. Integrate your assessment plan with all the learning outcomes for a course, or students will get the wrong idea, from individual assessment tasks, about what's important in the course. Learning outcomes can be seen as statements of threshold learning in that they prescribe to students the minimum standard needed to achieve a pass. Determine at the outset whether all the course outcomes must be achieved at the threshold level, or whether higher achievement on some will compensate for failure on others (Moon, 2005). In your aligned assessment plan, clarify whether the criteria will be based on a threshold pass/fail point, or whether they will be set out in a detailed assessment rubric. "Constructive alignment" (Biggs & Tang, 2007) entails designing learning and assessment around the intended learning outcomes. If learning and planned activities explicitly state their alignment with learning outcomes, students can construct their own learning. The diagram below shows alignment as an iterative process, adjusted according to each experience of conducting a course. Figure 2 shows sample course learning outcomes mapped to both class discussion activities and assessment tasks, to check the validity of the assessment plan. Mapping like this can reveal issues and omissions. For example, you might find that your assessment plan ignores some learning outcomes, or that you've set up a class activity that is unrelated to any of the learning outcomes. Once you've mapped a course like this, you might need to reframe the learning outcomes themselves, so that they more clearly require observable desired action or behaviour, and relate that behaviour explicitly to course content and assessment tasks. You can select assessment tasks that are aligned with course learning outcomes according to different schemes—two such schemes are described below. proposes a range of technology-enhanced learning and assessment activities within each domain. Both the affective domain of attitudes, feelings and values (for example, Bloom et al., 1964) and the psychomotor domain of physical skills (for example, Dave, 1970) can be included, where relevant, in the types of learning outcomes to be translated into assessment plans. Biggs and Tang's SOLO Taxonomy (Structure of the Observed Learning Outcome) (2007) is equally useful when you analyse learning outcomes with an eye to aligning them with assessment plans. The SOLO Taxonomy frames assessment tasks using verbs that indicate the increasing complexity of, and extent of relationships among, the ideas and concepts in which the task will engender learning. Another way to determine which tasks will deliver particular learning outcomes is to analyse the outcomes in terms of the generic transferable skills and attributes they represent. 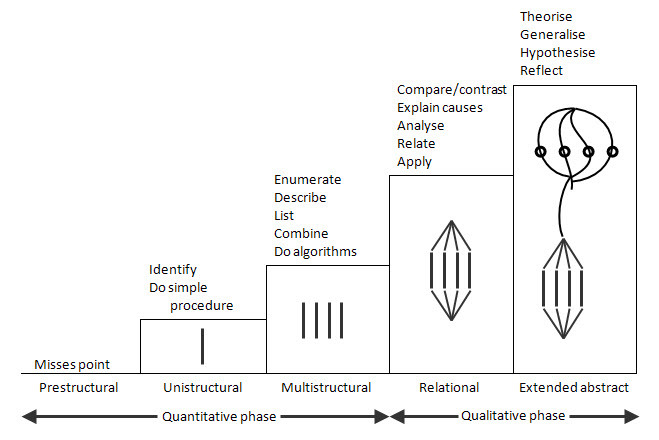 Figure 4 groups learning outcomes into eight domains of generic skills and attributes, and lists a range of tasks and methods that might be useful in achieving each outcome (Dunn, 2010, adapted from Nightingale et al., 1996). Participate in a "Court of Enquiry"
Houghton, W. (2004). Constructive alignment: and why it is important to the learning process. Loughborough: HEA Engineering Subject Centre. Hounsell, D., Xu, R. and Tai, C.M. (2007). Blending Assignments and Assessments for High-Quality Learning. (Scottish Enhancement Themes: Guides to Integrative Assessment, no.3). Gloucester: Quality Assurance Agency for Higher Education. Kennedy, D., Hyland, A. and Ryan, N. (2006). Writing and using learning outcomes: a practical guide. Article C 3.4-1 in Froment, E., Kohler, J., Purser, L. and Wilson, L. (eds). EUA Bologna Handbook: Making Bologna Work. Berlin 2006: Raabe Verlag. Biggs, J. and Tang, C. (2007). Teaching for Quality Learning at University. 3rd edition. England and NY: Society for Research into Higher Education and Open University Press. Bloom, B., Englehart, M., Furst, E., Hill, W. and Krathwohl, D. (1956). Taxonomy of Educational Objectives: The Cognitive Domain. New York: Longman. Bloom, B.S., Masia, B.B. and Krathwohl, D.R. (1964). Taxonomy of Educational Objectives: The Affective Domain. New York: McKay. Dave, R.H. (1970). Psychomotor levels. In R.J. Armstrong (ed.) Developing and writing educational objectives (pp. 33–34). Tucson AZ: Educational Innovators Press. Dunn, L. (1999). Unpublished material for SCU booklet Assessing students, Southern Cross University, Lismore, NSW. McIntyre, S. (2007). Evaluating Online Assessment Practice in Art and Design. UNSW Compendium of Good Practice in Learning and Teaching, Issue 5. Moon, J. (2005). 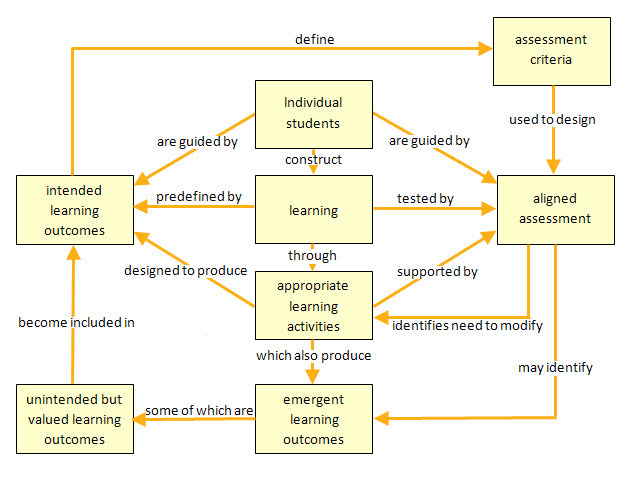 Linking Levels, Learning Outcomes and Assessment Criteria. Report for the Bologna Conference on Learning Outcomes, Edinburgh, July 2004. Nightingale, P., Wiata, I., Toohey, S., Ryan, G., Hughes, C. and Magin, D. (1996). Assessing Learning in Universities. Kensington: UNSW Press. This topic was inspired by resources developed for the Macquarie University Assessment Toolkit.